Fast bleach with ultra-blond effect. Protects the integrity of the hair fiber. the integrity of the hair fiber. Usando luvas, em um recipiente não metálico, colocar uma medida (50g) do pó descolorante rápido Korban Collors e acrescentar 100ml de água oxigenada de 20, 30 ou 40 volumes. Misturar até formar uma massa homgênea. Aplicar sobre as mechas, reflexos ou ballayagens conforme a técnica do profissional. 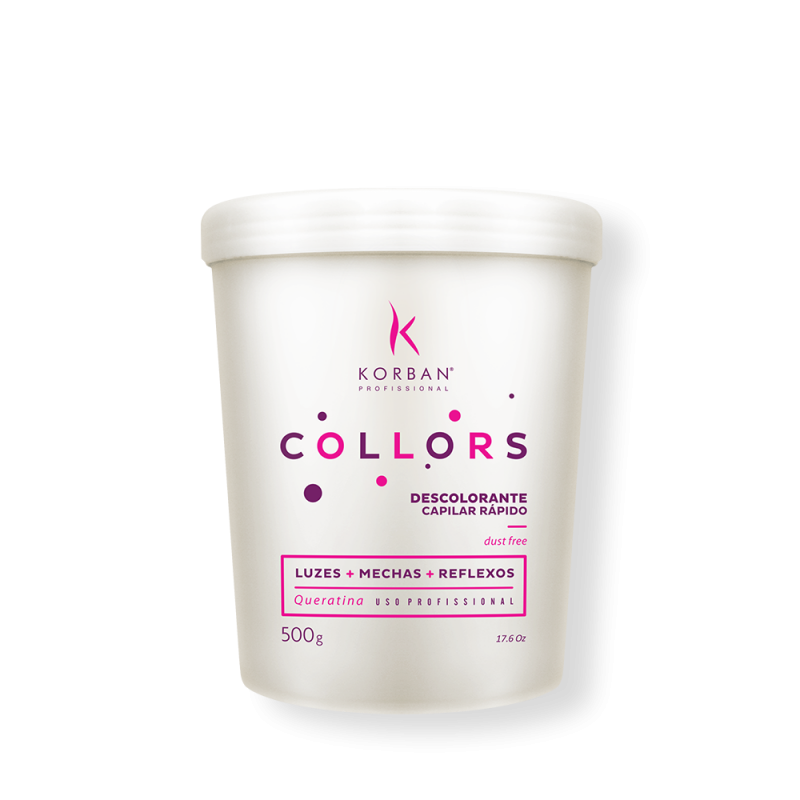 It is recommended to use a measure (50g) of Korban Collors quick bleaching powder, adding 150ml of 20, 30 or 40 volumes hydrogen peroxide. Starting the application in the neck or in the darkest parts. Control according to the desired degree of bleaching. After the action time, rinse thoroughly. Do a small amount of product and apply on the forearm or behind the ear. Wait 45 minutes and rinse.